Below you’ll find the solicitations information and cover artwork for all of Oni Press comic book titles that were released last week on June 15th, 2016. 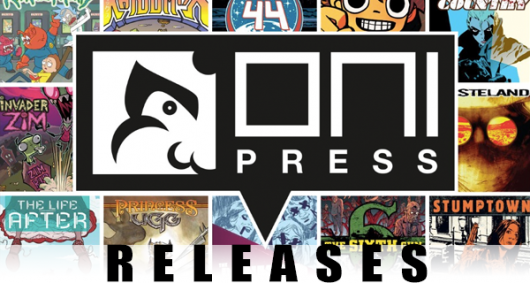 Below you’ll find the solicitations information and cover artwork for all of Oni Press comic book titles that were released on April 20, 2016. 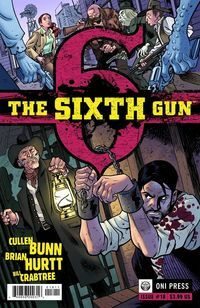 Not a huge release week for this company, but we do get another issue of The Sixth Gun from Cullen Bunn and company! 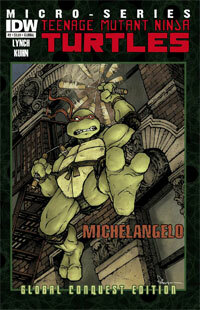 TMNT: Turtles in Time #1 starts with action and doesn’t stop until the very last page. Then, it starts again. This book was NOT what I was expecting at all, but sometimes, that’s a good thing. Writer Paul Allor brings us into the middle of the story that hasn’t even been told yet!!! How awesome is that? And don’t worry, later in the year the rest of THAT story is coming, but for right now, all you need is this issue. Allor pens a fantastic “fish out of water” story, with the Turtles being thrust into a strange world (we’re not sure if it’s even EARTH! 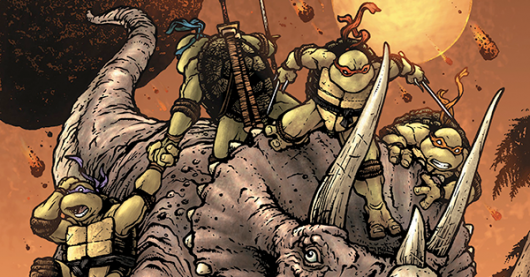 ), and dumps the Turtles right into the thick of a fight between the Utroms and some really nasty dinosaurs. If you had a super power, would you hide it? Would you use it to benefit others or for personal gain? In Uncanny #3 written by Andy Diggle and illustrated by Aaron Campbell, Dominic Weaver begins to realize that no matter what you choose to do with your powers, others will always seek to exploit them, because everything comes with a price tag. As kids, we all wanted a superpower…right? Okay, be honest here. That carried through to adulthood, didn’t it? Especially when we go see any of the blockbuster comic-based films that Hollywood has turned (or churned) out in the last decade or two. Well, Uncanny #1 is the story of a guy with just such an ability. What he does with it is less than spectacular, but we all make poor decisions from time to time. Okay, first off it’s good to know who you’re dealing with here. The guy’s name is Weaver and he’s a con artist. Sure, he’s got the badass ability to siphon the thoughts and knowledge from people that he touches, but he uses it to gamble and cheat people out of their money. Unfortunately for him, this information that he absorbs is very temporary. And he’s started noticing that his power is becoming slightly unreliable, though he has no idea why. But Weaver’s life is about to change. Other folks have taken an interest in him and, luckily, they’ve got pretty good timing. A last minute rescue finds him racing off with no idea what the future holds. I can’t remember when it was the last time I read The Sixth Gun. 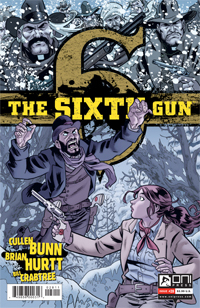 But, after reading The Sixth Gun #28, I might be picking up another copy sooner rather than later. I have to say, I was pleasantly surprised by this issue. Writer Cullen Bunn gives us a pretty great little mystery here. Granted, I had almost NO clue as to what’s going on, because this isn’t a title that I read on a regular basis, but I was able to discern the story and what was going on pretty quickly. In this issue there’s an A and a B plot which eventually merge together to make one great big shock ending. The one problem I had with this book was that I really couldn’t tell who the “good” guys and “bad” guys were. I had a good idea, but I wasn’t 100 percent certain. FINALLY!!! Someone does a comic based on the hit Bon Jovi song, Bad Medicine!!! Wait… what? 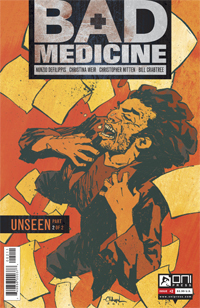 OK, so it’s NOT an adaptation of the song, BUT what Bad Medicine #2 IS is a very unique comic. And a very entertaining one, at that. Although I hate comparing comics to other things, writers Nunzio DeFilipps and Christina Weir are going to force me to. While this book goes above and beyond the call of duty to not be ANYTHING like what’s on the stands today, I’m going to say that, for lack of a better term, it’s CSI crossed with Twin Peaks with a dash of sci-fi thrown in. Again, this is NOTHING like anything that’s out there today, and I think that’s why I liked it so much. Very original and compelling.